R. Gard & Co., Inc. Welcome to R. Gard & Co., Inc. We are a family run business with over 35 years experience. We pride ourselfs in our quality of parts and customer service. 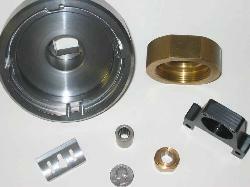 We have the ability to do prototype to production runs, 1 piece to a 1000 or more. We have customers in the Aircraft landing gear repair, Oil industry, Custom wheel mfg, Concrete pumping, Rear Steer forklifts and Geological testing. We work with materials such as Steel, Aluminum, Stainless, Bronze, Plastic, Rubber, Inconel and more. 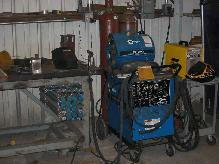 We have a wide range of machines to handle most jobs needed. 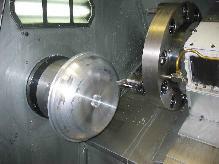 We can handle 4 axis milling, can turn up to 26". 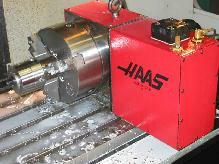 We have CNC lathes Haas SL-40, ST-30, SL-30, HL-5, TL-3B,TL-3, Ikegai TUR26, Ikegai TCR 26. CNC mills Haas VF-0, VF-3, VF-6, Brother TC-324 Conventional lathes & mills and all the support equipment, We do in house welding and fabricating. We have the ability to work from IGES, DXF files, upload and down load prints. Sample of a few parts. Feel free to contact us for any of your quoting needs.